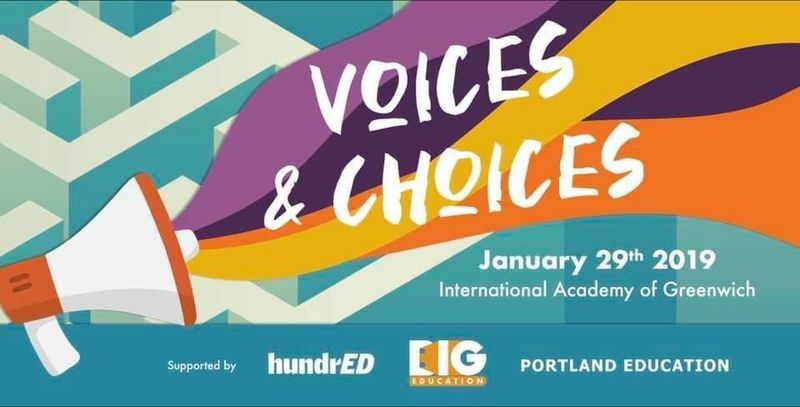 The end of January 2019 brought to us the first ever HundrED GLocal on Voices & Choices. Led by one of our UK Ambassadors, Alex Bell, we partnered with Portland Education, Big Education, International Academy of Greenwich and Lyfta to host more than 70 Londoners who came together for an evening exploring opportunities to recognize and celebrate unheard voices of young people and practitioners. After the success of this event, HundrED wants to open this opportunity to all our HundrED Community members, Ambassadors and Innovators alike. HundrED GLocals are structured events with a goal to share inspiring innovations in education at a local context while empowering local teachers and education innovators and fostering an inclusive, collaborative movement for innovation in education. These events can last anywhere between two to three hours, are organized by HundrED Ambassadors and community members, and are free of charge. At every HundrED GLocal event, an equal number of global and local innovations are showcased. Our proposal is 3x3 (3 global, 3 local) but 4x4 or 5x5 are also possible. The global innovations come from HundrED´s global list and are selected by the organizers. Local innovations are selected locally, again by the organizers and they don´t have to be part of HundrED yet, though they are encouraged to join our global HundrED Community. The first half of the event is all about presenting up to six innovations, both local and global, followed by guided implementation discussions and an opportunity to ask deeper questions. That is why it is also recommended that people who can help in this process of implementation, like funders and heads of schools or other education organizations, should be invited to the event as well. Organizing a HundrED GLocal should be easy and fun. The events are led by a host HundrED Ambassador who can gather a local team which may comprise of like-minded people, interested supporters and other HundrED Ambassadors from the region. The team is completely responsible for the logistics of the event as well as other efforts like marketing and finalizing the innovations that get showcased during the event. The Head of Community from HundrED will offer three calls for brainstorming, planning and promotional efforts. HundrED will provide e-materials like HundrED posters, stickers/stamps, and community publicity including the possibility to live stream on the HundrED Facebook Page and help with creating Eventbrite and Facebook events. We aim to host a HundrED GLocal in every continent in the world by 2020. Will your country be next? Community Reflections from Learnit, BETT Show and HundrED GLocal in London!